Nevcon Accounting Services has been pleased over the years to provide handy resources including downloadable tax guides, forms, schedules and reports. 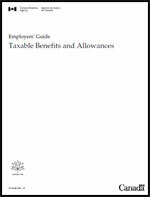 These resources are all official documents as provided by the Canada Revenue Agency. We are in the process of rebuilding those collections of resource links and aim to have them available again in the near future. In the mean time, if you are looking for a tax form for a specific year, please feel free to contact us for assistance.